Harriet Tubman on the $20 bill (Michael Fisher). This election season has been a great time to talk about change and how change happens. Most progressives will agree that we need professionals fighting for change. This means activists have to be able to make a living. When having conversations with people about spending money to influence change, the key question is: What would have the biggest impact? I’ve come to believe, much like National Public Radio, that it’s a continuous flow of money—not one-time donations. That is, it’s shifting money so that it’s going to activists or, at the very least, not going to special interests that are going to fight against change. Here are seven things I’ve done to shift my spending patterns—that are relatively easy for you to do as well. 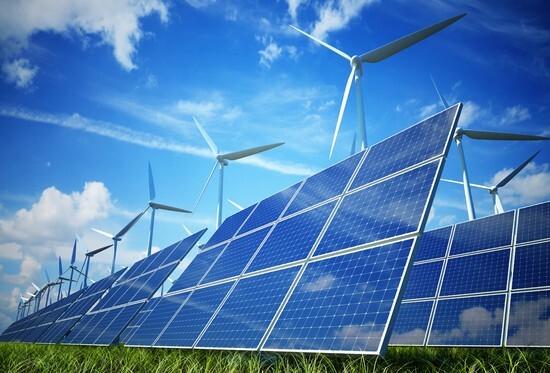 Renewable electricity (Real Infrastructure Capital Partners). Recently, I switched my electricity supplier to Ethical Electric. If we want clean energy, there has to be a market for clean energy. I’m sure there’s other options, but this one is available in Ohio. Not only does this help create a market for alternative energy—it also switched my stream of money away from Duke Energy, a company that lobbies to avoid paying taxes, was fined $102 million for a coal ash spill in North Carolina, and constantly lobbies Ohio’s regulators to use dirty coal plants. There is a “catch 22” when it comes to money in politics: We don’t like it. The reason for this is that we don’t like the corruption that we feel comes attached to it. And when we see this corruption, we recoil. Our gut instinct is to say, “I’m not gonna give my money to them.” Unfortunately, this seems to have the net effect of making political parties even more reliant on outside interests. So I’ve decided to regularly donate to my local Democratic party and to donate when I can to Ohio’s state Democratic party. This is toward the top of my list because I feel it could have significant impact if the Democratic party didn’t have to rely on outside corporate special interests for funding. Where possible, I also contribute to candidates I believe in. And yeah, I would like to see publicly funded elections. This is not the reality we have though. The PCCC does great work. They fight for real progressives in Congress. They run campaigns to help win people over, as well as for progressive legislation. They seem to make the best use of every dollar spent. I contribute to the PCCC as often as I am able. Investigative journalism, as we used to know it on our major television stations, radio, and newspapers, is disappearing due to new business models and falling revenue in traditional media. The networks and radio stations and newspapers need money, so they do a couple of things. One, they won’t do anything that might offend advertisers. And two, programs often get aired that seem more like commercials. One of the few outlets that is still somewhat independent of these pressures (though this might be changing) is public radio. For this reason, I contribute regularly. Over the years, I’ve gradually shifted more and more of my food spending to our local farmers market. 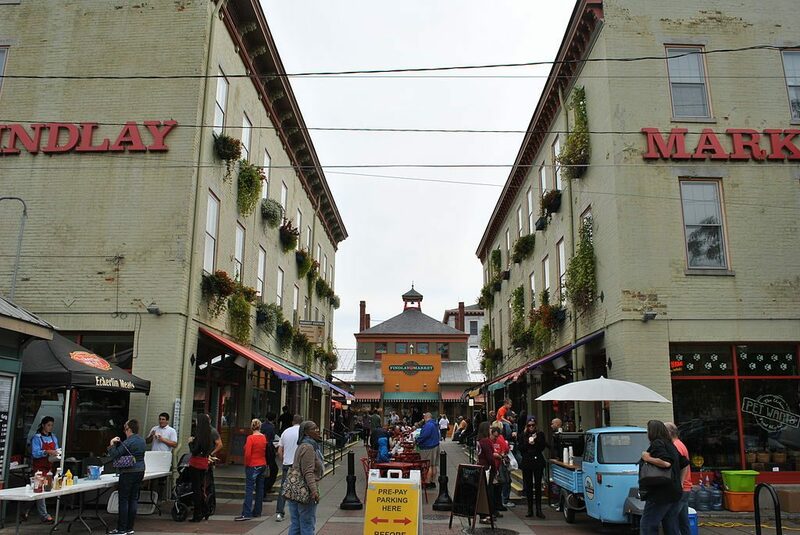 I’ve seen Findlay Market grow from a few vendors to more than 100. At the center of our city, it has also helped revitalize the neighborhood and urban core. In addition, I’ve grown to know and become friends with many of the vendors and it’s become a Saturday morning tradition. Findlay has also helped me think about some of my other buying decisions. I now try to find any hardware and building materials at local hardware stores or re-use stores. I buy books from small shops. I purchase music from one of the best record stores anywhere. When we eat out, I look to local restaurants first. I also love to support authors, especially independent ones and local ones. This isn’t novel by any means. And sometimes I slip. But over the years, I’ve changed my buying patterns significantly, and that’s what’s important in the long term. I’ve been a credit union member for as long as I can remember. I switched when I realized that banks are no longer competing for customers based on customer service. They are competing to see how much money they can take from you. Here’s a quick example. ATMs save banks money in labor costs. Yet we often pay fees at ATMs. Why? Because banks figured out that an automated machine can tack on a charge and most people will pay it because they want the money. They call this a “convenience fee.” Today, banks compete to see how much they can raise this amount before people stop paying it. This leads to banks competing to see how much money they can extract from you, rather than banks competing to serve customers. Credit unions have a different business model. In addition, credit unions aren’t lobbying the government to deregulate the financial industry so banks can figure out more ways to “fine print” you out of more money. This is No. 7 on my list because I’ve seen some big differences with some small personal changes. In other words, there are some relatively easy things you can do that have a big bang for the buck. One of these was installing a Nest programmable thermostat. Because this works every day, the overall impact on energy usage was huge. We did this when the Nest first came out and we cut more than $1,000 from our yearly utility bill. That is a huge reduction in energy used, not to mention money saved. Now this particular house was, at the time, not very energy efficient so yes, you might not see savings this dramatic (I’m actually a little embarrassed to admit this). But I can’t help but wonder how many other people are in similar situations. The Nest paid for itself in about three months. 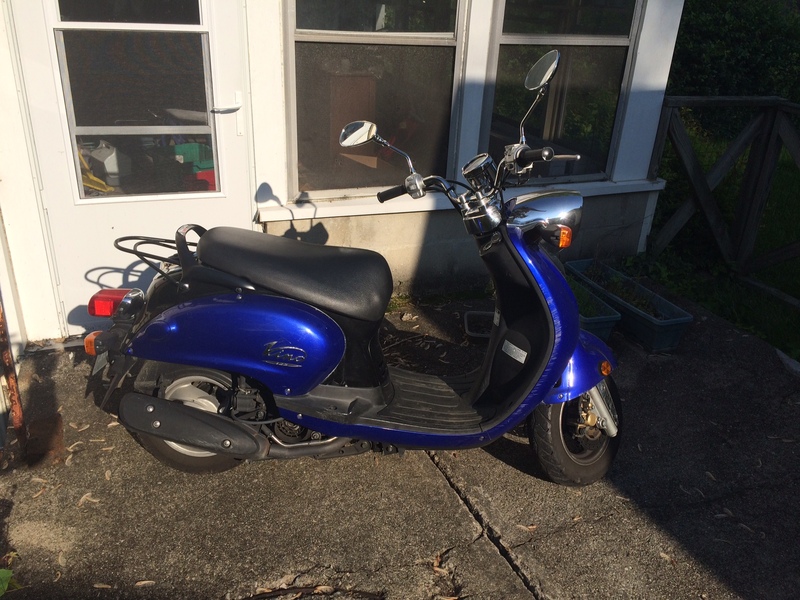 My 2006 Yamaha Vino 125 CC scooter. Another investment I made came after a business trip to India. In India, most people drive scooters. I learned to drive one over there and was surprised at how easy it was. They’re automatic, so there’s no clutch and no shifting. 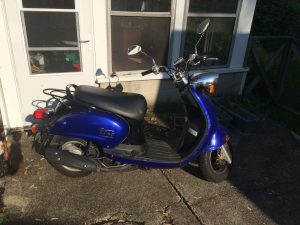 I realized that most of my driving was in the city and that, for a small investment, I could significantly cut back my gas consumption simply by purchasing a commute scooter. When it’s warm, I’ve cut my gas consumption down to 1/3 of what it once was. I also have become good friends with the folks who run our local scooter shop. Is technology the be all/end all? No. But there are things that can help and make a significant difference. I’ll be the first to admit that I don’t feel I’m on the cutting edge of spending responsibly. I wanted to write this, however, to talk about how there are many spending shifts that just about anyone can do. Some of these might be more expensive than others so they might not be for everyone. Others, however, might actually save you money. So maybe it makes sense to start with the easy and most cost-effective ones. As I’ve continued to change my spending, it has become easier. I’ve found new ways to free up money for things I value more. For example, I recently realized that I spent $600/year on soda. Once I put a yearly value on this, I started asking myself, could this money be better spent? Would I be healthier if I wasn’t drinking soda? So I quit. Or mostly quit anyways (In the spirit of honesty—every now and then I sneak one, but overall I changed my spending). I don’t consider myself radical. If we want good things, we’re going to have to fund them. My goal is simply to help people who are doing good things make a living, and continue to do good things. What have you done, or what are you considering doing? I’ve gotten great tips from people in the past and am always interested in what people are doing—especially those on the cutting edge. What other things are out there, and what else could I do?